Throughout the Warriors' dynastic run, they've proven their superior talent can overcome a multitude of sins. 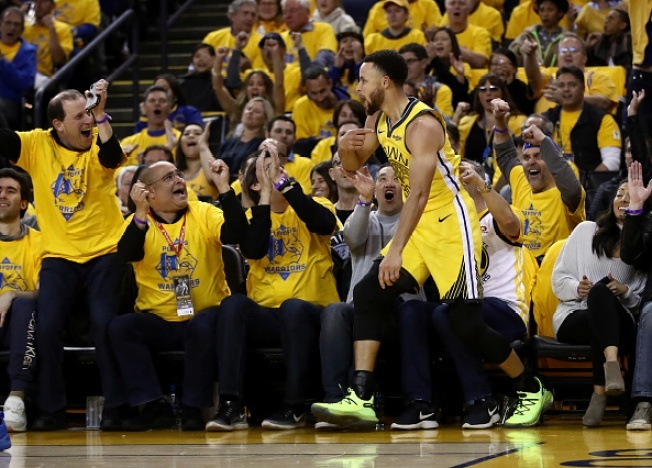 The didn't happen Monday night when Golden State lost to the Clippers 135-131, evening the first-round NBA playoffs series at 1-1. Adding to the sloppy play, the Warriors might have lost an integral piece for the foreseeable future. Boogie done? Three minutes into his second career postseason game, DeMarcus Cousins tumbled to the ground as he reached for a loose ball. After sustaining what has officially been deemed a left quad injury, Cousins tried to walk under his own power and avoided help from teammates as he limped to the locker room. Cousins' return from a torn Achilles is well-documented. Through the first few months of the season, he tirelessly worked to get back into professional form, even playing well enough to earn himself a decent payday this summer as a free agent. For now, with an MRI scheduled for Tuesday, the Warriors and Cousins will hold their collective breath. Too many turnovers: A day after Warriors coach Steve Kerr criticized his team's lack of focus on the offensive end, the Warriors didn't seem to take heed to the message. Golden State committed 22 turnovers in Game 2. In two games, the Warriors have given up the ball 43 times, throwing careless passes with an often lazy approach and helping the Clippers overcome Golden State's big lead Monday night. Against the Clippers, the Warriors should still be able to get away with a lazy approach due to their superior talent. But just as the regular season has taught us, it would not be wise for the Warriors to be this careless moving forward. Kevon Looney steps up: With Cousins out, Kevon Looney was stellar, finishing with a career-high 19 points and five rebounds. He did most of his damage in the second quarter, scoring 10 points and adding three rebounds as the Warriors outscored the Clippers 40-15. Like last year's postseason, Looney is showing his value to the Warriors as a dependable bench contributor. Over his first two playoff games this year, Looney is plus-31. No matter the outcome of Cousins' MRI, rest assured that Looney will get a lot of opportunities going forward.